Having spent years developing its reputation for performance and power, the Ford 6.0L Powerstroke engine is one of the most reliable on the market. It has been used to power countless vehicles for over a decade, and this proven history of success will give you the confidence you want in your vehicle. We have a variety of Powerstroke engines and parts, so you can complete any project, whether it is a fresh install or routine maintenance on an existing system. Find all the hardware you need at one place and save time and effort, so you can get your engine back to work sooner. One of the best attributes this hardware is known for is its impressive horsepower and torque. Coming in at 325 hp and 570 lb ft, it boasts a lot of power and the ability to handle just about any situation. Many people choose the Ford 6.0L Powerstroke because it gives them the ability to finish any job with ease, and keeping your system in top condition is key in enjoying this level of performance each and every day. As parts become worn out or damaged, the functionality of the vehicle drops, and you will find you are unable to handle the terrain and loads you expect. That is why we provide many different high quality parts, so you always have what you need to equip your vehicle with the best and ensure it runs perfectly to expectations. Find everything from fuel injectors to glow plugs within our wide selection of options. 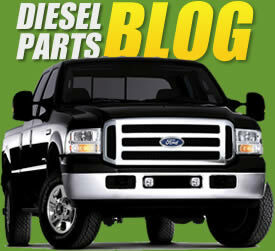 We have hardware of all sizes to take care of any problem that develops in your Ford 6.0L Powerstroke. Kits will help make the job even easier by providing all of the equipment you need for your system. We have fuel filter kits, stand pipe and dummy plug kits, fuel injector kits, fuel pressure regulator kits, and more. These options are great for saving time and money, helping you bundle together everything you need for your maintenance needs at once. We also carry large parts including high pressure oil pumps, water pumps, filters, clamps, fuel injectors, and anything else you need for your system. We are dedicated to providing only the highest quality hardware so that you can enjoy the performance and reliability you expect out of your vehicle. Get the best parts for your system and know that they will last for years to come, helping you work harder every day. This section has all the Ford International Xtreme Duty Tube Style TIG welded EGR Coolers. The Different Xtreme Duty EGR Coolers are separated by the engine displacements. TamerX Supplies only the highest quality EGR coooler on the market today.. Our customers are mainly commercial fleets that require the uninterrupted service from their replacement parts. The TamerX Extreme duty EGR Coolers are designed using only the highest quality stainless steel tubing. This ensures that the cooler will not rupture even under the most extreme conditions. The design also ensures that exhaust particulate will not trap and cause a blockage in the EGR Cooler. The TamerX Diesel Products come with exceptional service. Our experienced Customer Service Department is available to assist with making the selection for your diesel engine.